I specialized in working with adolescent girls to support their growth and help them recognize their strengths. I provide individual therapy, family therapy and after-school therapy groups (please see below). I work with teen girls individually to help them develop skills towards being their best self and learn skills to calm intense emotions or strong impulses. I also provide parent coaching and work with the family to develop a plan to support family trust and her transition toward greater independence, self-care and confidence. I offer "Eco-Therapy" groups that take place outdoors in beautiful open spaces and park in the East Bay and Marin. In Oakland, our therapeutic program meets at Lake Merritt Community Garden. Our groups support teens through transitional years by helping them develop skills to manage difficult emotions, grow self-esteem and learn mindfulness practices. Our eco-therapy programs are a partnership with Stepping Out Stepping In (SOSI) and are led by Tara Reinertson, Naturalist and Licensed Marriage and Family Therapist. SOSI's staff includes registered MFT interns and a licensed Occupational Therapist. Included within your registration are two parent or family meetings to assess challenging behavior and also develop a behavioral plan for your teen (if needed). Our therapy groups help adolescents find their "inner-compass" as they have the space to connect to their own developing values, concerns and see their capacity for self-directing healthy choices. We utilize proven successful therapeutic practices from Acceptance and Commitment Therapy(ACT) and Dialectical Behavioral Therapy (DBT) and work to help your teen recognize her strengths and build her emotional and relational skills. 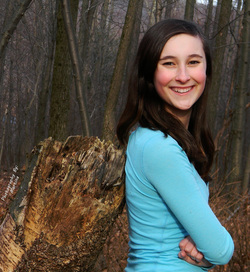 An Outdoor-Therapy Group for teenage girls (ages 13-17). Starting April 2018 on nine Thursdays from 4-6pm or Sundays from 11am-2pm (please see dates below). This outdoor therapeutic program is perfect for the girl who struggles with intense emotions, impulse control or suffers from depression or anxiety. While in a beautiful natural and relaxed setting, your teen will have “growing space” to grow her social, emotional and life skills. Each week we will focus on a new emotional skill and involve teens in discussion, role play, expressive arts and community gardening. We will also offer healthy snacks and incorporate our garden grown veggies that the group can help prepare themselves. Facilitated by Tara Reinertson, a licensed MFT and registered MFT interns, your teen will come away with more connection to her own strengths, a sense of being part of community and gain skills in managing difficult emotions. Fee: $500. TH. Dates 4/4, 4,11 ,4/18, 4/25, 5/2, 5/9, 5/16, 5/23, 5/30. Call 510-496-3440 for more information. (Must register for all sessions, included in your fee is a parent/family meeting for assessment and follow-up). Please Contact Me or call 510-496-3440 for more details and to set up an initial phone interview. We will then schedule a short in-person meeting with you and your teen to make sure it's the right fit, conduct any necessary assessments and learn more about areas for growth or particular life challenges for your teen. Once we have decided that this is the right program for your teen then you can register and pay on-line. Pay on-line here by March 22nd.. If you have any questions or would like to set up a phone conversation to learn more about our therapeutic groups please send contact me here. Is your teen yearning to explore the beauty of the bay area and test her wings of independence away from the family nest? We offer 5-day nature-therapy sleep away camp for teenage girls. These groups will build on girls strengths and deepen her compassionate relationship toward herself and others. Through a close to home journey that will explore the beautiful landscapes of the Marin Headlands, Muir Woods and Pt. Reyes she will have the space and time to contemplate her deeper relationship to herself, her emotions and question her values and choices. Our programs are led by Tara Reinertson, a licensed Marriage and Family Therapist (LMFT) and MFT interns. While staying at the Marin Headlands and Pt. Reyes Youth Hostels we will "Step Out" as we explore new territories and beautiful landscapes and "Step In" as we help facilitate experiences and discussions so that she can cultivate a deeper relationship to herself and the world. Registration Details: Fee is $950.00 for 5-day eco-therapy adventure. Register by May 1st for a discount rate of $900. Please Contact Me or call 510-496-3440 for more details and to set up an initial phone interview. Once I receive your on-line application I will schedule a short in person meeting with you and your teen to make sure it's the right fit, conduct any assessments if necessary and learn more about areas for growth or particular life challenges for your teen. Please Apply On-Line. Early registration ends two months prior to program date. Pay on-line here. There will be a maximum of 12 girls per group. Register early, spaces limited to a maximum of 12 girls/ week.